Rain Africa Rock Mint Bath Salts / Gee Whiskers! I love bath products - especially things that quickly transforms an ordinary bath into a luxurious one within a few seconds. 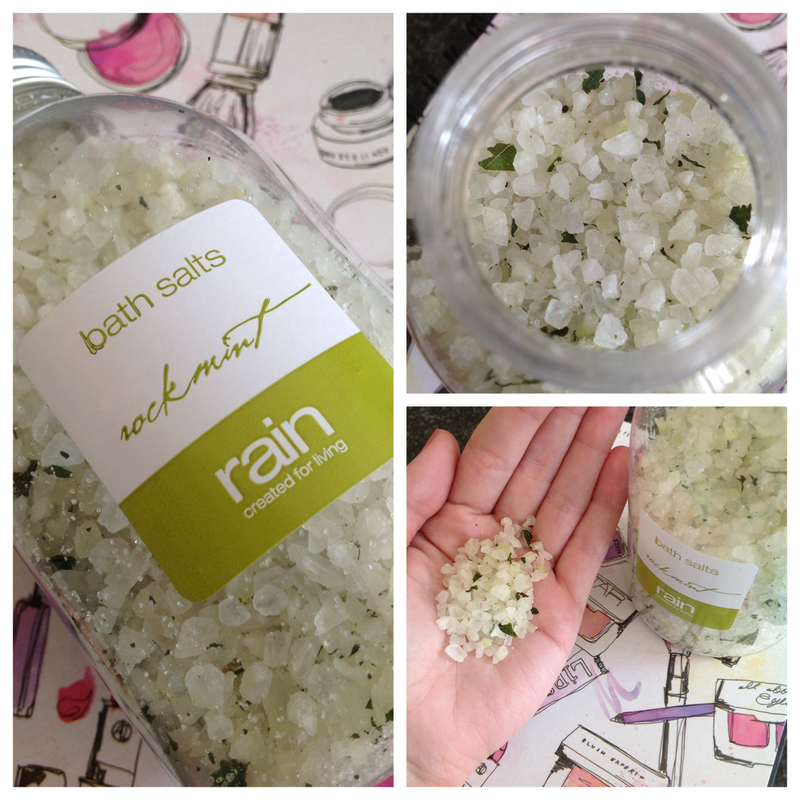 After a long day I need to relax and the perfect thing for that is Rain Africa's Rock Mint bath salts. This coarse rock salt that is made up of Mineral Sea Salt and Epsom salt. It is infused with mint and essential oils to turn your bath water into a relaxing tonic. The mint works wonders at clearing your head, relaxing muscles and invigorating your skin. I especially love how the mint scents the whole room and helps to relieve a stuffy nose - perfect for this time of the year. I love the smell of mint during winter :) I cannot bear it any other time. Ooooh where did you buy this? These sound amazing. Minty fragrances and some of my faves. It is the best when you are tired. I love mine! It makes my entire house smell minty fresh too. Great for after gym relaxing! oh my goodness, I need this! This looks and sounds amazing!!!!! I would love to get my hands on some of this. Thanks for sharing!! I really love using these. Maybe I should include some in a future giveaway. You are always thinking of others. You are SUCH a sweetheart!!! This stuff is amazing! I bought myself a little last week and I'm hooked. I've fallen in love with Rain's products. Very nice, wish I enjoyed taking baths so that I could try this salt out. Showers are more convenient for me, given that I find baths just too small.